(HLI) CDs and Videos on Genetics and Reproductive Technologies. Dr. Nathanson Testimony Before Congress on Reproductive Technologies. 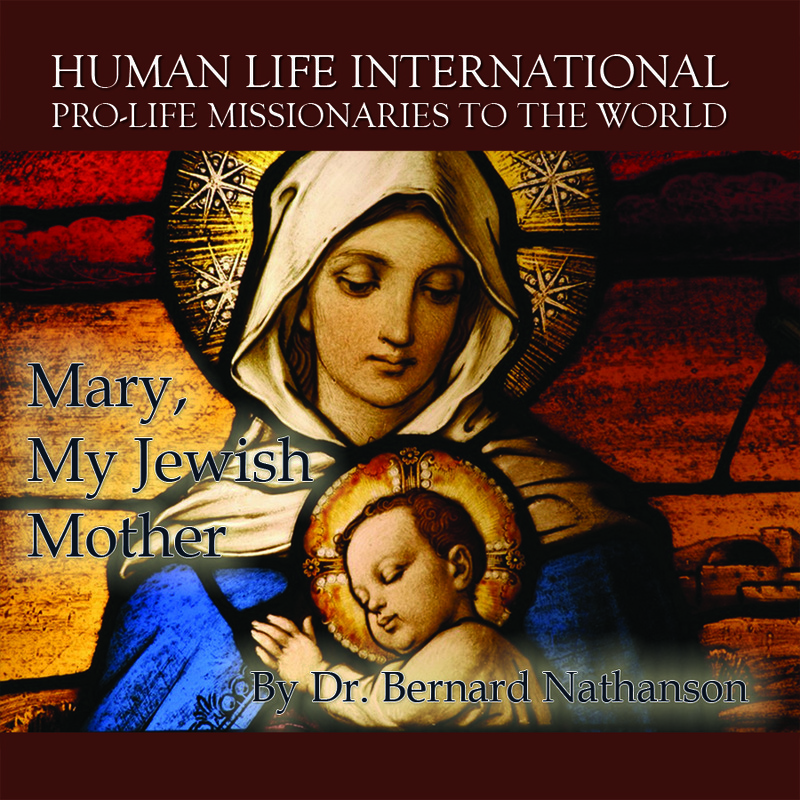 In this talk Dr. Nathanson, at the time a recent convert from Judaism to Catholicism, reflects on Mary, the Mother of God. He mentions his own experience coming from a difficult family situation, with the lack of a mother figure, and how this impacted his failed marriages. One thing that attracted him to the Church was Our Lady – the mother he was looking for. He remarks that there is no parallel figure in other religions. Our Lady has been called “The Aqueduct for God’s grace,” a title that stayed with Dr. Nathanson. He describes Her as both the sharer of the pain and sufferings of humans, and a signal of that pain and suffering – as well as of hope and joy. Dr. Nathanson shares the inspirational story of his journey from being a leader in the pro-abortion movement to a committed pro-lifer. Dr. Bernard Nathanson gives a fascinating and frightening summary of modern advances in genetic engineering. Learn more about scientists ability to determine a person's complete genetic future by a single drop of blood, and what this technology could mean to our future. Learn more about new genetic technology which will soon provide people with immortality. We're looking at somatic immortality on this planet in the next 100 years. Human Monsters are coming soon! Shocking. Must for every Christian. Dr. Bernard Nathanson gives a fascinating and frightening summary of modern advances in genetic engineering. Learn more about the $15 billion Human Genome Project, which gives scientists the ability to determine a person's complete genetic future by a single drop of blood, and what this technology could mean to our future. Learn more about new genetic technology which will soon provide people with immortality. We're looking at somatic immortality on this planet in the next 100 years. Human Monsters are coming soon! Shocking. Must for every Christian. 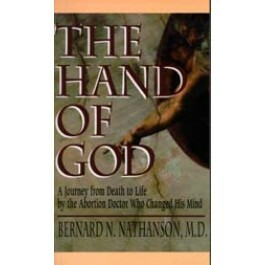 In this inspiring autobiography, you’ll learn how God led Nathanson from being an abortionist and lifelong atheist to a pro-life Catholic. Full of insights into the personal hell suffered by those who perform and promote abortions, and the beauty of conversion. A spiritual odyssey that will give hope to any sinner. 206 pp. Dr. Bernard Nathanson gives a fascinating and frightening summary of modern advances in genetic engineering. Learn more about scientists ability to determine a person's complete genetic future by a single drop of blood, and what this technology could mean to our future. Learn more about new genetic technology which will soon provide people with immortality. We're looking at somatic immortality on this planet in the next 100 years.Must for every Christian. Dr. Bernard Nathanson, 73, a co-founder of the National Abortion and Reproductive Rights Action League, has become a leading pro-life advocate. Here are excerpts from his speech on the topic given on Feb 9, 2000 before congressional staff. Partial-birth abortion is not an abortion at all. Abortion is defined as the separation of a mother from the fetus before 20 weeks. Most of these so-called operations are performed at 28 to 30 weeks. I happen to know one of the doctors who performs these operations. . . . They are really infanticides. He has told me point-blank that 80 percent of the operations he does are done after 30 weeks when someone, the mother or the doctor, discovers things are not going right with the pregnancy. They do an ultrasound and find a congenitally defective baby . . . and therefore the mother elects to have the procedure done. What I'd advocate is what is done in England by law; that every pregnant woman have an ultrasound at 18 weeks. That may not cut the rate of abortion by much . . . but at least it would cut these so-called partial-birth abortions down, and it leaves the mother more breathing room, more time to make up her mind and it allows more time for us pro-life people to do the appropriate counseling to allow her to carry the pregnancy to term and then have the congenital defect repaired. . . . Assisted reproductive technology is one of the hottest areas in modern medicine today. The first baby born in this country as a result of in-vitro fertilization was in 1981. In 1997, the last year for which we have any figures, there were 24,000 babies born of in-vitro fertilization. This brings up the question as to whether infertility is a disease. Is it a medical disease to not become pregnant? . . . There is a very large market in frozen embryos. There are about 50,000 embryos in various cryobanks across the country. What are we to do? Freezing can only preserve an embryo five or six years. Some entrepreneurs have the answer: Sell them. One enterprising reporter showed that if you go to Columbia University, you can tell them what kind of baby you want, matching your physique, your ethnic background and your educational background, and they will pick out a frozen embryo that perfectly matches what you want and sell it to you and implant the embryo in the womb of your wife or girlfriend for all of $2,750. . . . There is technology such as posthumous sperm removal. If a man dies and the widow wants to become pregnant, within a reasonable period of time, the urologist puts a needle into the testes, pulls out some sperm and fertilizes her egg. So the dead man is a new father, reversing all normal familial relationships and procedures . . . In Japan, they have now perfected an artificial womb. You do not have to put the embryo any longer into a human womb. . . .
What does the baby feel if it's not in the mother's body? You remember "Brave New World," written in 1932, in which [author Aldous Huxley] has predicted everything that has come to pass. He said, 'As political and economic freedom diminishes, sexual freedom can compensatorily be increased.' Cloning has gotten completely out of hand, and it's potentially dangerous. . . .
Dolly, the lamb that was created in Aberdeen, Scotland, has shown signs in its cells of premature aging. Nobody knows why. The Japanese have now cloned a bull from a cloned bull. They are cloning clones until the land is full of cloned bulls. These bulls, by the way, are fertile. They have cloned a calf from the ear cells of an adult cow, which means you don't need to use reproductive cells anymore. You can take any cell in the body, even from the inside of the mouth, and clone. . . . The South Koreans have admitted they are cloning human beings and they are continuing the practice. . . . There's something known as genetic enhancement that is being carried out on a large scale. . . . For example if you want a child to be in the NBA and 6 feet 10 inches tall, at the embryo stage you'd ask that extra genes be put in for tallness. Or if you wanted extra memory so that you forget nothing, you put in more memory genes at the embryo stage. All sorts of human mapping has been carried out. The entire human genome will be mapped out by the end of this year. At the University of Utah, an artificial chromosome has been created that self-destructs on command if it is faulty or if it looks primitive to some future generation. I leave you to imagine what this could do and what the possibilities of such technologies are. About organ transplants: 62,000 people in the United States are now waiting for organ transplants. A new name is added to that list every 16 minutes, and last year, 11 people died every day while waiting for organs to be transplanted. That is the magnitude of the problem. Many people are pushing for zeno transplants, which is using the organ of an animal, most usually a pig. . . . The problem is there have been retroviruses that have been isolated in pigs. We don't know if they are fatal to human beings. And if a pig organ is implanted in the body of a human, there is a possibility this retrovirus can become active. The Italians discovered one of the key genes that controls aging. If this gene is properly applied, we can live 1,000 or more years. You think you have a problem with term limits now. . . . This technology is exceedingly commercial. 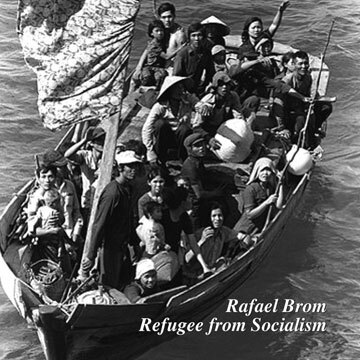 It promises to divide those who can afford it and live to be 1,000 and those who cannot, who live to 75. In our desperate search for immortality, we have come to see life as an obstacle to overcome. We have used every means at our disposal to fight the prospect of our own demise. Yet as history has so well documented, the more frantic our efforts at controlling life, the more damage we inflict on it. It is really, in my view, in the hands of our merciful God. . . . The private sector is investing billions into biotechnology. Huge amounts of money are being made on the stock market. The manipulation of human beings seems to have no limits. This technology threatens the human species far more than abortion does. Abortion is a one-on-one destruction of a human being. What I am talking about today is a totality of changing the human species in defining what we are as humans. If a cow egg is deprived of its nucleus and a human nucleus has been put into that cow egg, now we have a hybrid of a cow and human that has been electrified and started to grow. What kind of person or organism is that going to be? Another thing that worries me as we clone human beings, what if the clones band together and establish their own state or military force or lawmaking? There is a possibility that these clones will be treated by us as aliens and respond as aliens. . . .
We're looking at somatic immortality on this planet in the next 100 years. What we do with it is another question. . . .
Congress moves slowly, but they will move. There is no public discussion on any of this. The geneticists, in short, are running wild. I am demanding Congress get involved in this to a much greater extent than it already has. We are looking at the same problem we had with nuclear power. In 1945, we dropped two bombs on Hiroshima and Nagasaki, then spent the next 50 years arguing the ethics of it. We chased that horse down the street after the barn door was already locked. Now the Spirit manifestly saith that in the last times some shall depart from the faith, giving heed to spirits of error and doctrines of devils.